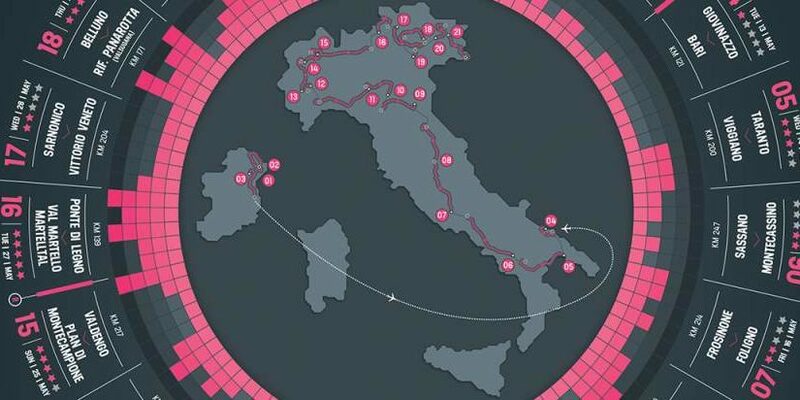 The route of the Giro d’Italia 2014, the 97th edition of the Italian grand tour, has been unveiled. The race will start in Belfast, Ireland, on May 9th, Friday; and finish in Trieste, Italy, on June 01, Sunday. There will be total of 21 stages with three rest days. In the 1974 Giro d’Italia, a completely unknown 21-year-old Belgian, Wilfried Reybrouck, won the first stage from Vatican City to Formia, and wore the maglia rosa in his first professional Grand Tour. 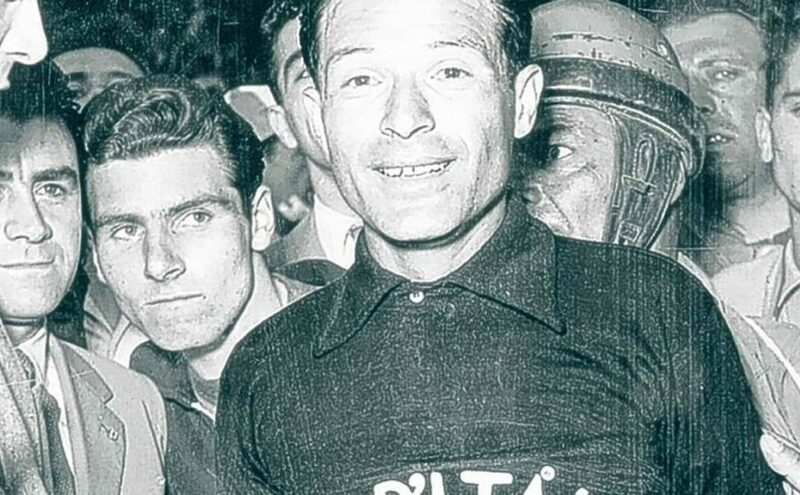 In the 1946 Giro d’Italia, a new jersey has been introduced: The “Maglia Nera” (black jersey). It was awarded as a symbolic prize given to the last man to finish the race within the time limit. 1924 Giro d’Italia was very extraordinary. 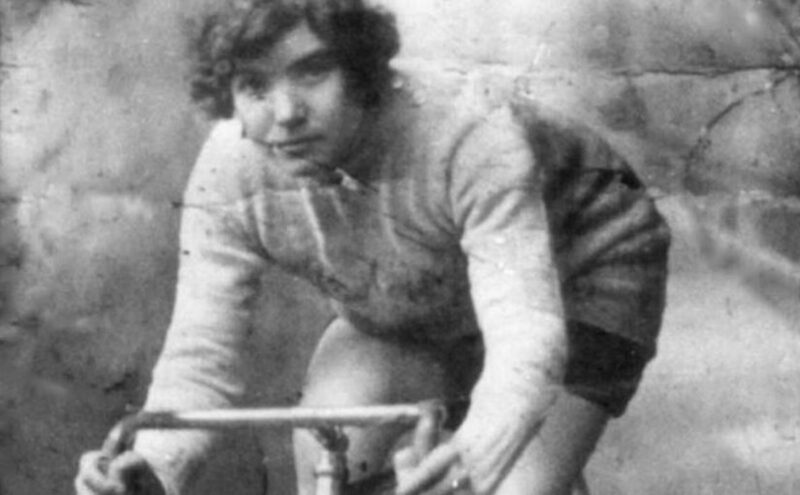 Because, Alfonsina Morini Strada participated in the Giro, and became the only woman to have ridden one of cycling’s three major stage races. 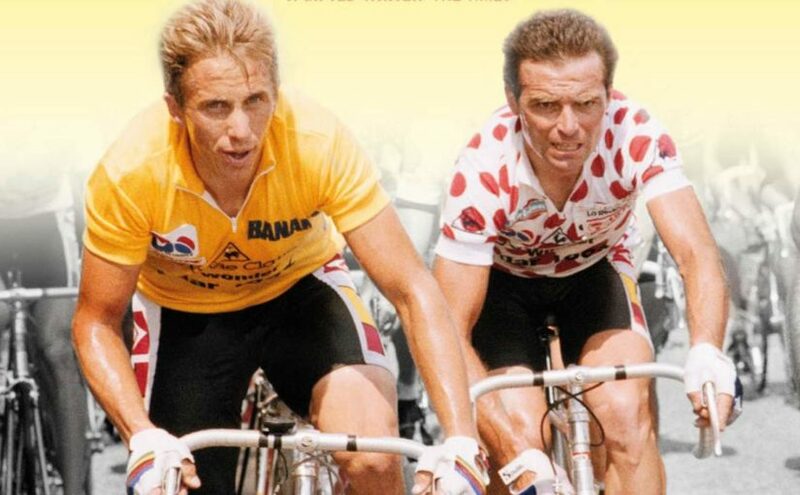 In the early years of Giro d’Italia, the winner was decided by a point system: After each stage, the stage winner had earned one point, second finisher two points, and so on, and so-forth down to 50th, 51th and the others each awarded 51 points. I finished reading “Put me back on my bike” by William Fotheringham, and now started a new book: “Maglia Rosa – Triumph and Tragedy at Giro d’Italia”, by Herbie Sykes. Pinarello, the famous Italian bike manufacturer, made a special Giro d’Italia edition of their high-end racing bike, Dogma 65.1 Think 2 and the result is: Pinarello Dogma 65.1 Think 2 2013 Giro d’Italia Edition.